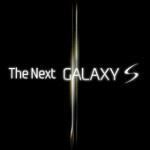 The Samsung Galaxy S II is close to getting introduced during the upcoming MWC in Barcelona. Although there has been plenty of guesswork related to the eventual winner of the debate over which processor will be powering the phone, it looks like it will be Samsung's own dual-core processor that will get the job. The Orion 1GHz dual-core chip-set is expected to be under the hood of the sequel. The Orion chip allegedly beat out the NVIDIA Tegra 2 and the Qualcomm Snapdragon to earn the gig. Of course, it helps inventory control when you can pretty well assure yourself of a steady stream of processors. Last year, Verizon had the HTC Droid Incredible on back order due to a lack of inventory of the Samsung produced AMOLED display. HTC had to switch to a Super LCD glass. Samsung could simply not produce enough of the material to cover both it's own Galaxy S line and third party handsets. So while it might surprise some that Samsung would choose to go with its own home grown Orion chips, history has shown that the Korean based firm has done very well by eating its own cooking. Besides, there is the prestige of making the first device to run the Orion line of dual-core chips. I can't stand all the teasing, I want to see the damn phone! a phone can not be gay. why do you kids miss use this word? it only makes you look foolish! I wonder if Samsung will actually release it with working GPS firmware? Hmm. Super fast processor that has no idea where the hell it's located. Nice. Cool but to bad I wont ever buy a sammie device again. Probably because Samsung is the worst of all the major cell manufacturers when it comes to updating firmware and releasing fixes for bugs. By far the worst, in fact sometimes promising a fix/update for months, then suddenly announcing there will be none, leaving buyers stranded. Oh,and also, while Samsung puts together first class hardware, trhey generally cripple it with awful software. My current Omina II, without the great work of chefs in the community, would be virtually unuseable. There are no OpenGLES1.0 drivers, the OpenGLES2.0 drivers are crap, TouchWIZ is beyond terrible, there aren't even any drivers for the built in FPU unit! Why put in an FPU unit, only to leave it disabled? tedkord, i couldnt have said it better. THANK YOU VERY MUCH Tedkord.Now the Lg 3d just got a booster,rocketing to ..maybe 1 position on my future 2011 handset list. The LG looks interesting, but LG's reputation as a cell phone maker overall is pretty poor. Their stuff is pretty low quality. The LG VX8300 I had a few years back took 4 returns/replacements before I got one that worked. Who knows, though. Motorola was on the ropes quality-wise prior to the Droid. This could be LG's droid moment. Samsung do make good phones, albeit with poor support & updates. On the software side, the good news is that the Galaxy S formed massive Dev base on XDA Developers (even if it did take a few months to kick off), and leaked firmware came out almost once a week from sources within Samsung, fixing bugs and providing new features. My only hope is that the SGS II performs better than the LG 2X. Seems all the hype surrounding the 2X has killed it with disappointing software and lag, before its even released (ref engadget mobile's review). Shame really, the 2X almost became my first Dual Core phone.. Now I will wait until the SGS II and other offerings from HTC are released. ... and I just wish my Nexus S had a Dual Core CPU. If it did, I wouldn't even consider upgrading until the end of the year..